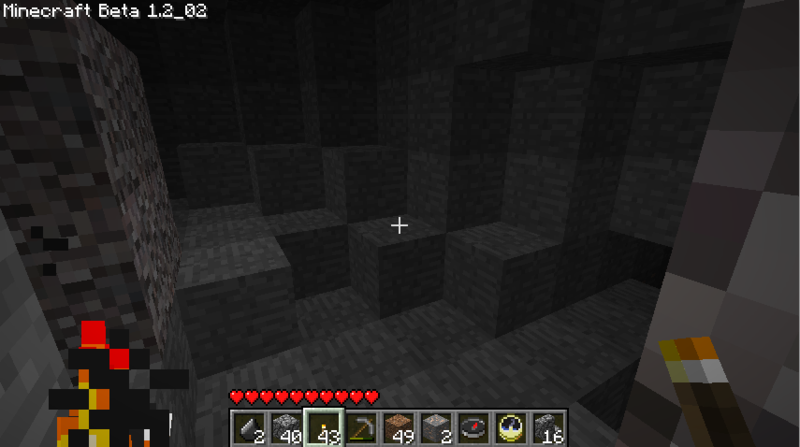 After finishing my house (at least for the time being), I decided to head back to the bottom of the ravine, and see how big the cave system is there. 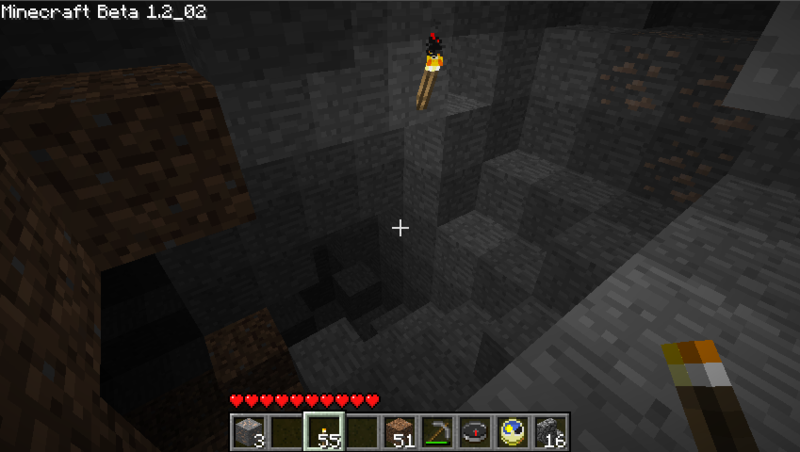 There’s a river right at the bottom; in the other direction is darkness plus some coal. 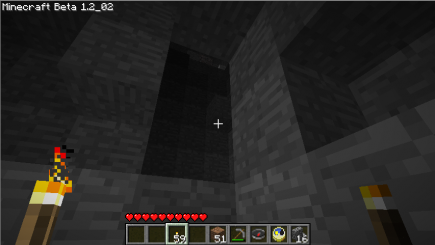 I wonder what's on this side? And that dark area is quite big, it turns out. 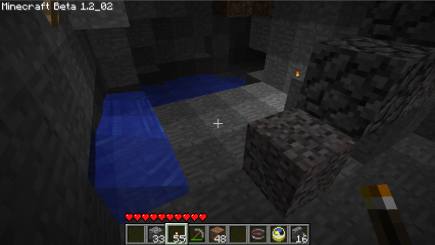 Here are some sample pictures, there are a lot more where they came from. In one direction, there’s what looks like a gravel wall: there is a gap in the wall, however, and behind it, you guessed it, more cave. 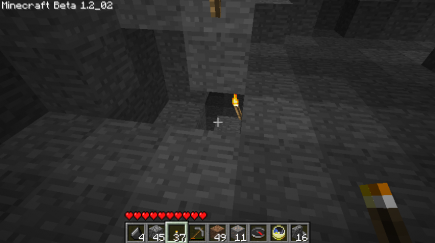 That last section was one of the few places where I had to dig to uncover the next bit of cave: I mined a bit of coal, and found an opening behind it. 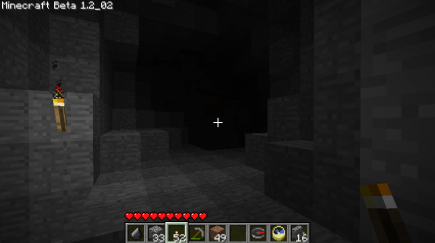 (Though I think that I eventually found a place where it connected back to the rest of the cave system.) 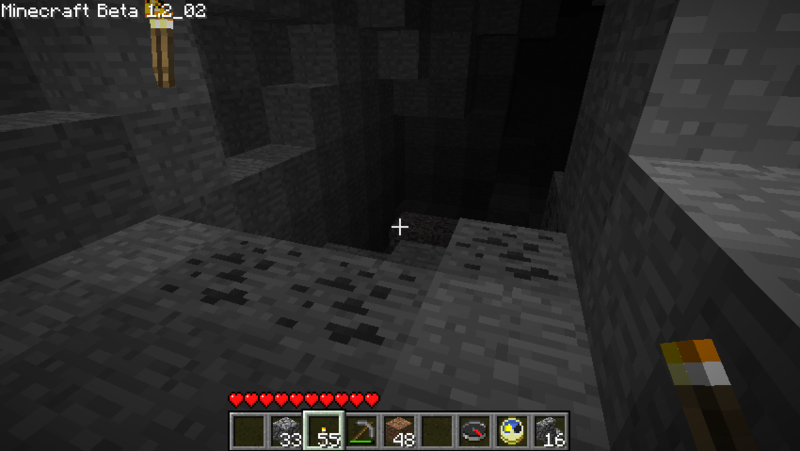 With that possible exception aside, this is all one huge natural cave system, connecting back to the surface through natural passageways; now that I’ve put in torches, I wouldn’t be surprised if I run into sheep and cows down here the next time I visit. 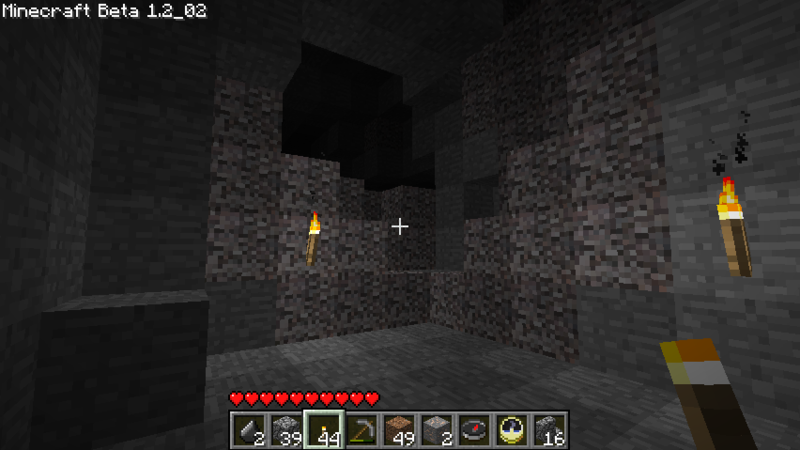 I can still find my way around the cave system, but only just barely. At some point, I should put up signs to help me navigate the key points, because without that it’s very easy to go in circles. 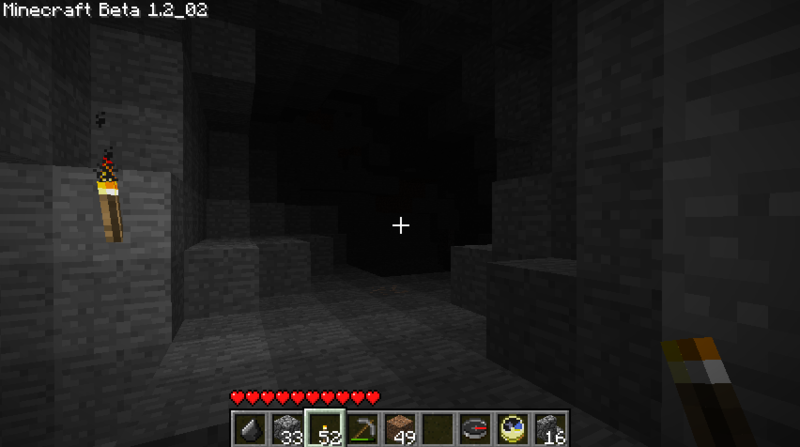 I’d been amazed at the size of the caves so far, but the geography hadn’t been particularly striking until that last bit. 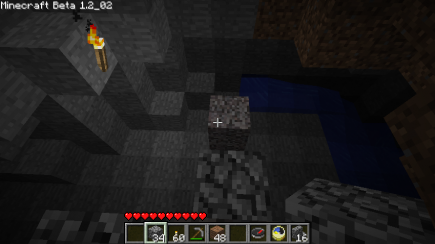 That’s when I found a waterfall going down a hole in the side of a cave; looking through the water, it went quite a way further down, and ran into lava beneath. 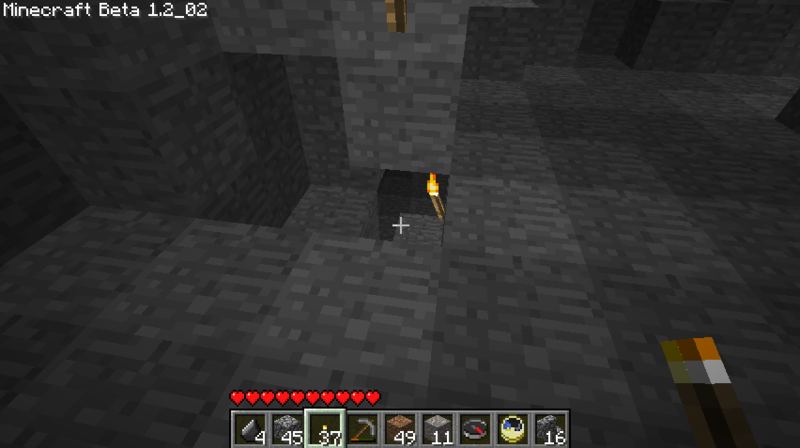 Exciting! 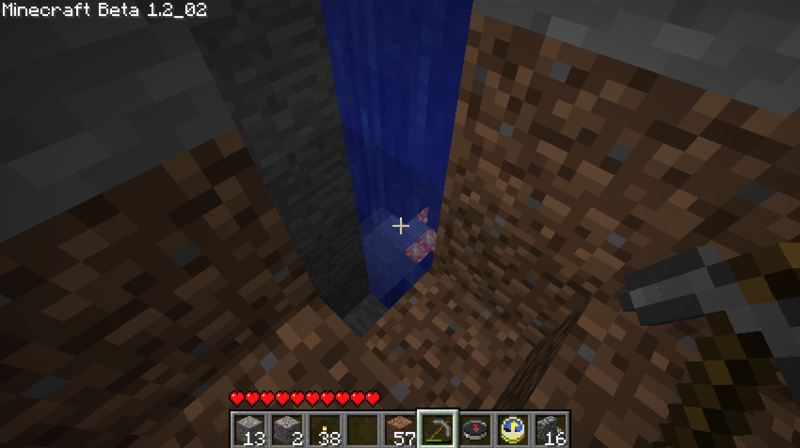 But how am I going to get down there to explore it? You could place a few blocks leading to the waterfall and then just use that as an elevator, but I presume you’d rather get down there via a walkway or set of stairs or something so you may have to dig into the wall and start heading down diagonally until you reach the bottom. 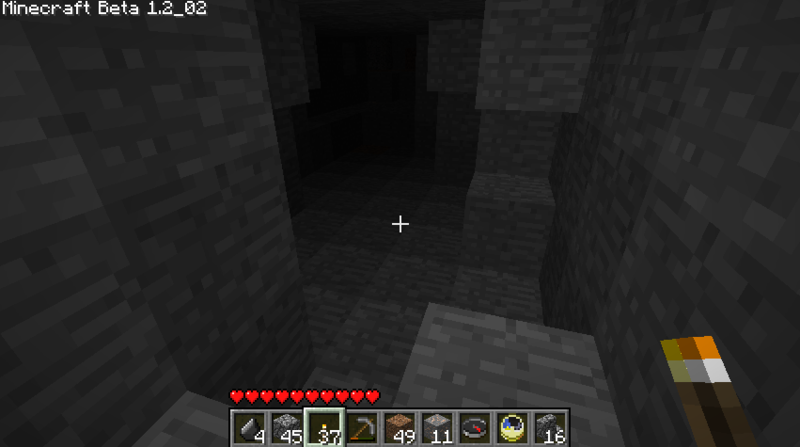 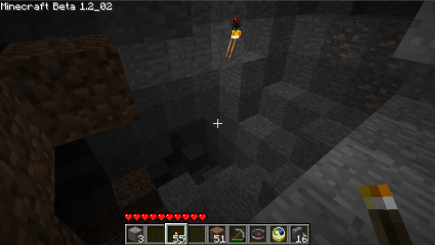 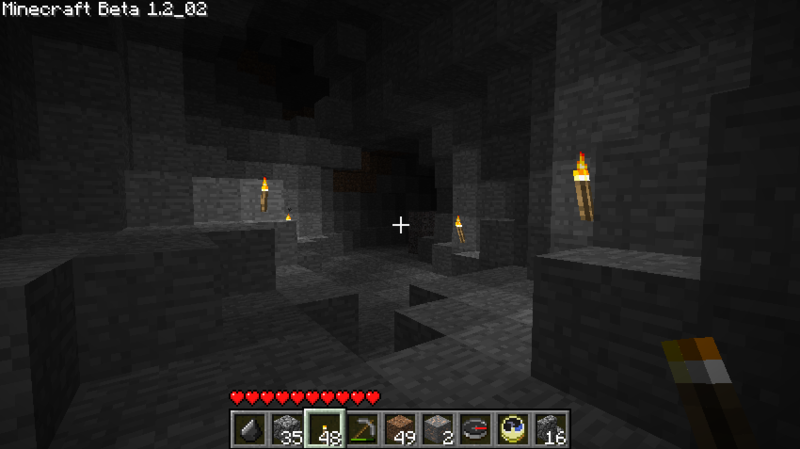 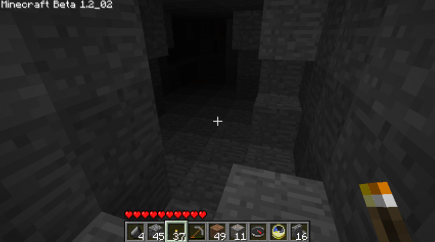 It would definitely be worth going down there though as diamond and redstone and etc. 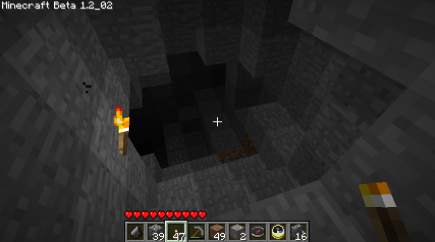 are all down on magma level, and just above it. Plus if that water goes into the lava, there’s a good chance you have some obsidian waiting for you too.